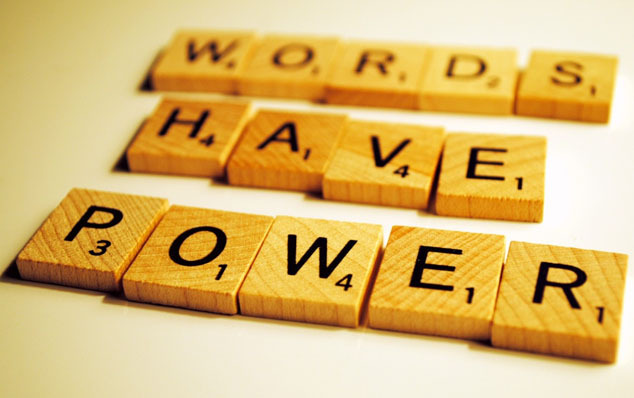 A great copywriter can harness the power of words for driving business growth. Conceptually this is a simple process consisting of two main components. They are: 1) get folks to see your marketing message; and, 2) induce them to take action on it. First, the right words in front of the right target audience will get people to pay attention to your marketing message. Without the right words, you might as well close up shop. Second, the right words induce those folks to take the action you want them to take. Without such action, you have no business. Emphasis here is on the phrase, the right words. This is where good copywriting is your best friend. The purpose of this article is to help business owners who want to do their own copywriting – DIY copywriting, if you will – understand how to get noticed and how to get folks to take action and become or remain customers. Getting noticed by the right target audience is the key. Unfortunately, the overwhelming number of avenues for getting your marketing message out can make anyone’s head swim. Sometimes it seems as though marketing these days compares to screaming for attention at a rock concert. Getting anything noticed amid the cacophony of advertising is a challenge, to say the least. Nevertheless, business success rests on getting the right eyeballs to see your message and actually read it. Where do you start? Ad agencies will, of course, cite the importance of headlines to grab people’s attention. Indeed, powerful headlines are important. Answering the question, “Who is my ideal client?,” may be as simple as writing down the characteristics of your current clients. You may need a client survey to fill in the gaps. John Assaraf and Murray Smith have a whole chapter in their book, The Answer, dedicated to this topic. Their case studies are especially instructive. Once you have a clear idea of who your ideal customers are, you can at least start to think about how to reach them with your marketing message. In general, keep in mind that most forms of advertising are not very effective. The worst of the bunch includes newspaper ads, door hangers, windshield inserts, posters, billboards, and those annoying (and usually illegal) business signs that you see on exit ramps and intersections. Got a website or a blog? The online marketing catchphrase of the century is search engine optimization (SEO). The concept sounds good, except that it still compares to screaming for attention at a rock concert. Besides, it leaves you beholden to Google and its ever changing secret algorithms for how to get noticed. Ditto for other search engines. What can be better than tossing ads out into space, either print or online in hopes that something works? Have you ever heard of the old adage that it is easier to sell to a current client than to recruit a new one? Of course you have. Let’s expand on that concept to see how it represents the best ways to get your marketing message to get noticed. Of utmost importance, it is imperative to get the contact information from every current client, along with permission to contact them. They are predisposed to notice your marketing message because they already have a history of doing so. There’s gold in those current clients! Online or offline, this mostly means those who subscribe to your newsletter. There’s also gold in your subscriber list! Building such a list is also imperative for growing your business. The most successful businesses rely on copywriters – DIY or professional – for the right words that make people want to be contacted. All you need to get your list started is a sales item, online or print, that is too irresistible to ignore. Marketing your subscription offer is another opportunity for harnessing the power the right words. Of course, strategies for marketing to your own list are many. Once you already have your potential clients’ interest, you still have to use the right words to get them to take action. Building an automated email campaign or a print mailing the right way, with good copywriting, does wonders here. By now you no doubt know why people buy from you. The bottom line is that you have a value proposition for them. However, getting potential clients to see the value that you provide to them is where good copywriting is worth its weight in gold. The same goes for repeat sales to existing clients. This is where truly good copywriting blends the salient points for any marketing campaign using several resources: e.g., 1) The psychology of persuasion according to Dr. Robert Cialdini (Influence at Work); 2) emotions that motivate taking action; 3) analytics. If you don’t have the book, you can get the Cliff-notes version of what these principles here: Dr. Robert Cialdini and 6 principles of persuasion. The book itself, however, is an invaluable resource for every business owner. If you don’t know where to start on choosing the right words for any marketing campaign, figuring out how to include one or more of these principles will give you great insight. A lot of research has gone into the emotions of marketing, going back more than a century. In other words, we know quite bit about this topic. Once you know what to look for in marketing (online, print, TV, etc. ), you will be able to see exactly which of your own emotions are targeted. Approximately three dozen emotions are widely used in marketing. The most common ones, and the science behind them, are explained in a fantastic blog post at BufferSocial here: The Science of Emotion in Marketing: How Our Brains Decide What to Share and Whom to Trust. Deciding which emotions to use in your marketing material depends on the makeup of you ideal clients and the nature of your products or services. If you aren’t sure which ones will work, and how the right words can invoke them, this is where analytics comes into play. Specifically, by ‘analytics’ I mean evaluating marketing materials for the influence they have on the bottom line. The most consistently useful way to do so, seemingly since the beginning of time, is split testing. Simply put, this means having two versions of your marketing materials for comparison. The version that performs better would then remain in use, while the version that didn’t perform so well would be shelved. Yet another version is then in order for further split testing. In this way you can continually improve your marketing campaign by designing new versions for more split testing. Split testing doesn’t have to be complicated. However, doing it is crucial for ramping up your marketing materials to be more effective. This is the power of analytics. This is a fundamental component of good copywriting. The concept is simple. The execution is more of a challenge. That is where we at Dr. Dennis Clark & Associates shine. CONTACT US RIGHT NOW to see how we can help you power up your marketing materials with actionable, results-driven copy.